With the help of a DUI attorney in Seattle, a deferred prosecution happens when the state agrees to withhold the prosecution of a DUI defendant in return for that defendant’s pledge to complete a two-year alcohol, drug, or mental health program. The aim of deferred prosecution is to help people with drug and alcohol dependency issues deal with those issues and avoid DUI – and other drug and alcohol-related criminal charges – in the future. Deferred prosecution is for DUI defendants who are willing to confess their guilt and who are humble enough to ask for and accept help for their alcohol abuse issue. Not every DUI defendant in Washington will qualify for deferred prosecution, and a defendant should enter a deferred prosecution program only after consulting an experienced lawyer and learning precisely what deferred prosecution will require. 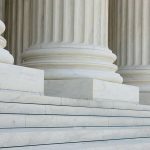 A number of terms and conditions are imposed on defendants who enter a deferred prosecution program, and the entire process takes five years. Deferred prosecution is offered only to defendants who believe that a drug or alcohol dependency caused the actions which led to a driving under the influence arrest. Defendants entering a deferred prosecution program must want to overcome their dependency. Defendants accepted for deferred prosecution who do not complete the program will be prosecuted for the original driving under the influence charge and face the full potential criminal penalties for that charge. If you are offered deferred prosecution by the state of Washington after a DUI arrest, consider the offer seriously, because the offer for deferred prosecution is only made once in a defendant’s lifetime. 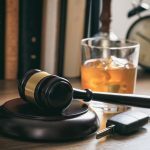 If you have previously had a deferred prosecution for a DUI charge, you will not be eligible for a second deferred prosecution, and you’ll have to face the DUI charge like any other defendant. HOW DOES DEFERRED PROSECUTION WORK? How does a deferred DUI prosecution work? 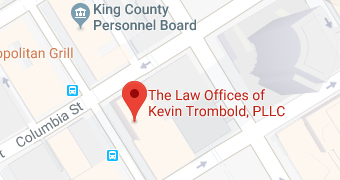 If the state of Washington determines that you are eligible for deferred prosecution, it typically begins with intensive, three-hour outpatient group sessions three times a week for eight weeks. After eight weeks, the defendant moves to weekly, ninety-minute outpatient group sessions for 26 weeks. At that time, a ninety-minute outpatient group session is then required once a month for the remainder of the two-year period. Additionally, during that two years, attendance is required at separate and twice-weekly “self-help” sessions. When another three years have passed after the defendant completes treatment, and at least five years have passed since the defendant first entered the deferred prosecution program, the DUI charge can be dropped, and it will never appear on the defendant’s criminal history. Some defendants may be ordered by the court to attend the two weekly self-help meetings for the entire five-year period. Successfully completing the deferred prosecution program is not easy. A deferred prosecution in the state of Washington takes substantial personal commitment and genuine personal willpower. Nevertheless, defendants from all walks of life, including addicts who have struggled for years with dependency, have successfully completed the deferred prosecution program and have moved forward positively and constructively with their lives. WHAT IS THE COST OF A DEFERRED PROSECUTION PROGRAM? Defendants accepted in the deferred prosecution program pay for their own counseling and treatment, and that cost will depend on the agency providing the treatment. Defendants in the Seattle area can expect to pay from $2,000 to $5,000 for a full two-year program. A number of health insurance plans cover a percentage of the program’s cost, but not all treatment providers accept health insurance. If a defendant does not complete the deferred prosecution program or violates the terms and conditions of the program as set forth by the court, that defendant will be dismissed from the program, prosecuted for DUI, and subject to the maximum criminal penalties upon conviction. However, for a minor violation like missing a single treatment session, a defendant may get a second chance, although some Washington judges enforce zero tolerance for violations. If you are arrested and charged with driving under the influence in or near the greater Seattle area, discuss your case first and at once with an experienced Seattle DUI attorney. If you believe that you are innocent of the charge, your attorney can work aggressively to have the charge reduced or dismissed or to win a not guilty verdict at trial. 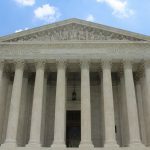 Your attorney may determine that your rights were violated or may dispute the results of your breathalyzer exam. 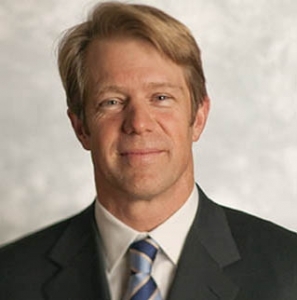 A DUI lawyer may also challenge the testimony of the arresting officer or officers. IS DEFERRED PROSECUTION THE RIGHT CHOICE? Your attorney will do what it takes to win justice on your behalf. However, for defendants who genuinely are struggling with addiction issues, deferred prosecution may be helpful and may be the right choice. Completion of the program means avoiding a DUI conviction. If you are convicted of a first-offense misdemeanor DUI in Washington, you could spend a year in jail and pay a fine of up to $5,000. Additionally, every defendant convicted of driving under the influence in the state of Washington is required to have – and to pay for having – an ignition interlock device installed in his or her personal vehicle. The “extra-legal” consequences of a driving under the influence conviction can also be substantial. Your auto insurance rates climb. Those who work as drivers may have difficulty keeping their jobs or finding work. Those with security clearances or professional licenses may have their clearances or licenses suspended or revoked. A felony DUI conviction results in the loss of the right to own a firearm in this state. Of course, the best choice for DUI is to avoid even the possibility of a DUI arrest, and that means adhering to the old advice – Don’t Drink and Drive. Even getting a room for the night or sleeping on a friend’s sofa is better than going to the jail, the hospital, or the morgue. Rides for hire in the Seattle area – taxis, limos, and rideshare services – are abundant and available all day every day. Make the choice to take advantage of those services when you have drinks with friends, and you won’t have to make the choice for or against a deferred DUI prosecution. 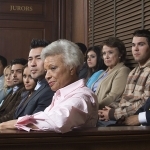 What Happens During A DUI Arraignment?